That's it. Now sit back and enjoy the glorious combustion of substance interacting chemically with the oxygen in the air. In all seriousness, Wednesday evening taught me a lesson in preparation and caution, for I had neither. I took a major L that night when I almost burnt my place down. It all started with an urge to take another crack at cooking a steak. On Monday, my birthday, I celebrated with a steak and a bottle of wine. However, my steak got charred on the pan, smoked ensued, and fire alarms went off. Definitely a far cry, from the relaxing evening I was hoping for. Nevertheless, I salvaged the steak and managed to enjoy the rest of the night. Like many, I hate to lose. Though the wine was good, Monday evening left me with a bitter taste in my mouth. Literally and metaphorically. Fast forward to Wednesday evening - that determination and drive to win manifested into another attempt at this steak. While I was at the gym earlier that day, a spirited conversation with the "sister wives" yielded offers to celebrate DJ's Birthday 2.0 aka "HADJIpalooza 2017" - they would cook if I provided the booze. Excellent idea. But my ego said otherwise. Next thing you know, I'm on the phone with a friend talking about cooking steak, what temperature, and the best approaches. 30 minutes later, I'm at home with a juicy looking ribeye, cup filled with merlot, plotting how this next episode can be documented as an Instagram story, all while prepping the pan on HIGH. And for the next 2 minutes, my ego crumbled. The pan ignited and flames threatened to consume the microwave and surrounding cabinets. Immediately, I went into survival mode. I did not panic. My towel was not large enough to smother the fire, so I immediately grabbed the pan by the handle and placed it on the tiled floor, letting the flame die. 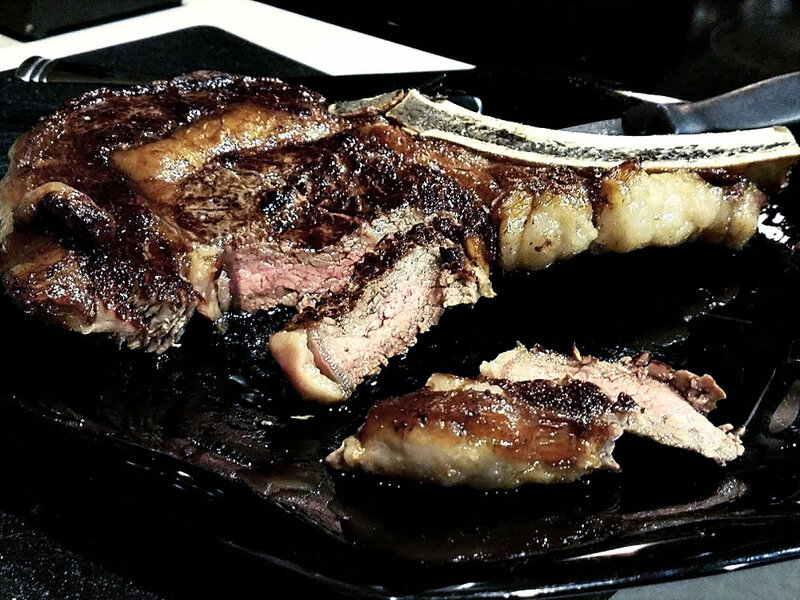 Like Monday's episode, smoke ensued and fire alarms went off, but instead of charring my steak, I ended up with a bruised ego and thoughts of what could have been. It is a cliche statement, but if you can take anything away from my episode, please remember that those who fail to plan, plan to fail. AND DO NOT PANIC. Not exactly one of my brighter moments, but certainly one that sharpened my testicular fortitude and wit. Brought to you by RHRB Services, LLC . All Rights Reserved 2018.